Office Policies » Palmer General Surgeon | Mat-Su Surgical Associates, A.P.C. If you are experiencing an emergency, dial 911 or head to the nearest emergency room. For truly urgent matters when the office is closed, please call our office at 907-745-8100 and our answering service will get a message to the appropriate Provider. We accept most/ all major insurance plans, including private health insurance, Medicare & Medicaid. If you don’t see your Insurance Carrier on the list, please call to inquire whether we accept your insurance. Please remember that your health insurance is a contract between you and your insurance company. It is YOUR responsibility to know your health plan benefits, including co-payment amounts, deductibles, co-insurance. 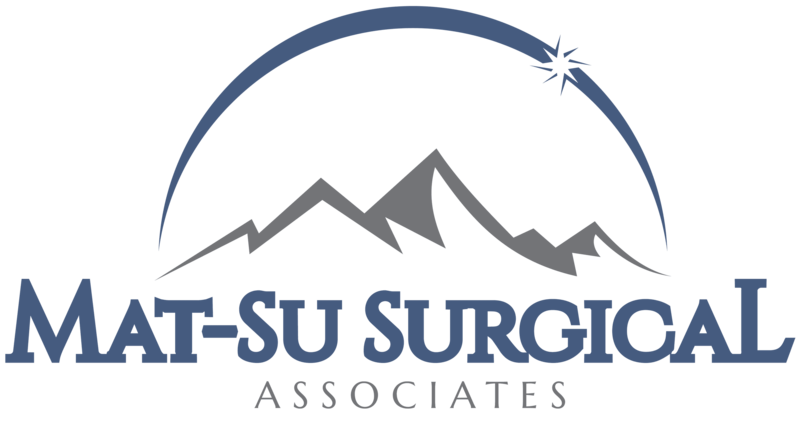 As a courtesy to you, Mat-Su Surgical Associates will submit a claim to your insurance company for all visit charges. You are responsible for any charges not covered by your insurance plan. Any amount not covered by the insured/patient’s insurance is due within 30 days of the time of service. It is the patient’s responsibility to inform this office if your insurance requires pre-certification or pre-authorization of services prior to scheduling of such services. As a courtesy we will make every effort to assist, you the patient, in this process but ultimately, it is the patient’s responsibility. For insurance companies that we are contracted with, we will determine your copay due at the time of your visit. Copayments and coinsurance amounts, deductibles, and all non-covered items and charges are the insured/patient’s financial responsibility and are due at the time of service. For these plans, your copay is due at the time of the visit. You are responsible for the charges of the provided services, which may be higher than the similar services for an in-network provider. Co-payments and coinsurance amounts, deductibles, and all non-covered items and charges are the insured/patient’s financial responsibility and are due at the time of service. In addition to the many insurances listed above, we accept cash, checks, and most major credit cards and debit cards. Please contact our billing office should you have any financial questions or concerns. Self-pay or uninsured patients are responsible for payment at the time of service. If payment in full is not able to be made, a pre-arranged payment plan needs to be discussed with our office manager prior to scheduling an appointment or surgical procedure. If your account is not paid within 30 days of receiving the first bill, you will receive a phone call. If payment is not made on the account in 90 days your account could be turned over to a collection agency. Any accounts turned over to our collection agency become subject to collection and attorney’s fees. These collection costs are the patient’s /responsible party’s responsibility. With the exception of serious emergencies, it is expected that you will keep all of your appointments. If you need to reschedule an appointment, we request a minimum of 24 hours notice. This courtesy, on your part, will make it possible to give your appointment to another patient. Please see the “Patient Center” tab near the top of the website to access, print, and complete the attached forms prior to your first appointment.